ConductRF's LMR RF Cable Assemblies are built exclusively using Times Microwave Systems class leading LMR range of cable. LMR cables over lower loss than traditional Mil-C-17-RG cables through their foamed PE dielectric. Exceptional multi-layer shielding with a multi-laminar aluminum tape bonded to the dielectric provides shielding better than -90 dB. LMR assemblies offer excellent cost & weight advantages over other solutions. LMR cables are used extensively in military and commercial applications operating between DC and 6 GHz. 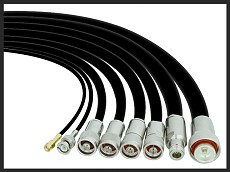 LMR Cables are available on short lead-times with custom lengths and configurations. Type-N, TNC, SMA. QMA & more common solutions are available across a broad range of standard cable sizes from L100A to LMR600. All assemblies are 100% validated through VNA testing prior to delivery to factory or customer defined performance standards. 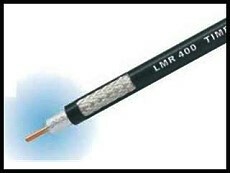 LMR Cables are available in a wide array of sizes and construction options. LMR100A is a drop in replacement for RG316 & LMR195 is a drop in replacement for RG58 & RG142. Both have lower loss than their RG cousins. LMR cable have options for Flame Retardantcy, Plenum Rated. Ultra-Flex & more. 4. Finally describe the length in the units of your choice.